Add your own persona to your MacBook without the bulk. Choose from our thousands of trendy designs or even let our designers create the perfect skin for you! 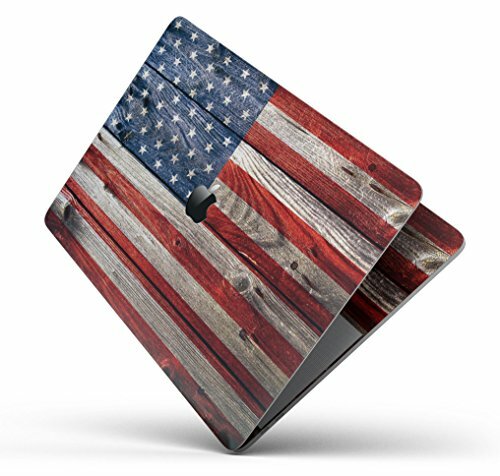 Custom skins are always welcome, send your photo or ideas over to us via Amazon to get started. How are they made? Okay, allow us to explain: Each skin is created carefully with a comprehensive three-layer production process using 3M materials that ensures the highest quality finished product. It begins with a patented Air-Release Adhesive backing that prevents air-bubbles from occurring during the installation process. Once the graphic is printed by our state-of-the-art equipment, we apply a crystal-clear lamination layer in our soft-matte or high-gloss finishes that protects your skin from daily abrasion & abuse. Full-Body Four Piece Wrap kit to cover your MacBook's Top Lid, Screen Trim, Inside Keyboard area and Bottom. If you have any questions about this product by iiRov, contact us by completing and submitting the form below. If you are looking for a specif part number, please include it with your message.